Congratulations; the government shutdown is officially over, and the Internal Revenue Service has returned to business as usual. This means the long road of catching up with paperwork, returning inquiries, and reinvigorating the workforce has begun. Though we may be seeing delays coming from their offices, one thing that won’t be slowing down is tax season. As has been in the news, the IRS opened up the start to tax filing on January 28, exactly as planned. So what does that mean for you? Whether you’ve been out of the loop because of the government shutdown, or just believe you’ve got plenty of time until the April deadline, it may be wise to reconsider when you submit your 2018 filing. We see this every year – Individuals scrambling at the last moment to put together all of their paperwork. Why not have the peace of mind of avoiding such a rush? We recommend filing your taxes as soon as you can, in order to circumvent all of the stress. Two months go by faster than you think, and it’s important to stay on top of your finances now, rather than leaving yourself with a headache later. An educated citizen is a productive citizen. 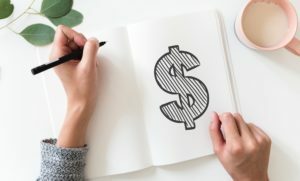 Not all tax responsibilities are alike, and it’s important to understand your own unique situations. Depending on your tax bracket, there are various resources available to help alleviate monetary burden when filing. For example, if you are retired, it’s good to know how much selling your assets will affect your income. There are so many instances where a simple contribution to charity, or the sale of an old car can make the difference on which bracket you are ultimately categorized as. In the tax world, knowledge really is power. At the end of the day, you can only do so much research. Being proactive and understanding, at a high level, your current situation is a great base to have before taking next steps. However, it will never replace the value of having a seasoned set of eyes take a look. CPAs are here for a reason, and you’ll appreciate the added insight and strategy that goes into professionally filing your taxes – Especially with so many introductions to the law in 2019. Our team of experts is well versed on the ins and outs that go into preparation for the New Year, and can do a lot to help you reach your financial goals. The team of CPAs at Hall and Company in Irvine wish you the best of luck as you prepare to file this year. If you are interested in the added benefits that go hand in hand with working with our firm, we’d love to get in touch. For more information on other financial topics, check out our blog.